Earlier this month, a jury in Detroit found Theodore Wafer guilty of second-degree murder in the death of Renisha McBride. Wafer originally pleaded not guilty to the charges, claiming self-defense in the fatal shooting of the 19-year-old woman, who was allegedly seeking help after a car accident. According to The Huffington Post, “McBride appeared at Wafer’s house in Dearborn Heights, adjacent to Detroit, around 4:30 a.m. on Nov. 2. She crashed her car nearby earlier that night, and where she was in the several hours between the accident and her death is still unknown. She was severely intoxicated. She knocked on Wafer’s door, unarmed and potentially looking for help; he came to the door with a loaded shotgun and shot her in the face,” of the circumstances that surrounded this horrific incident. Controversial Stand Your Ground laws, which have been responsible for allowing many criminals to go unpunished, were applied ineffectively in this case; self-defense proved to be an unsuccessful stance for Wafer to take, as he shot at an unarmed woman through a screen door in his home. Many social justice activists have publicly called out the pitfalls of laws that protect criminals in the name of self-defense, and even judges, policy makers, and legal experts like former federal prosecutor Kendall Coffey have railed against the applications of Stand Your Ground laws. 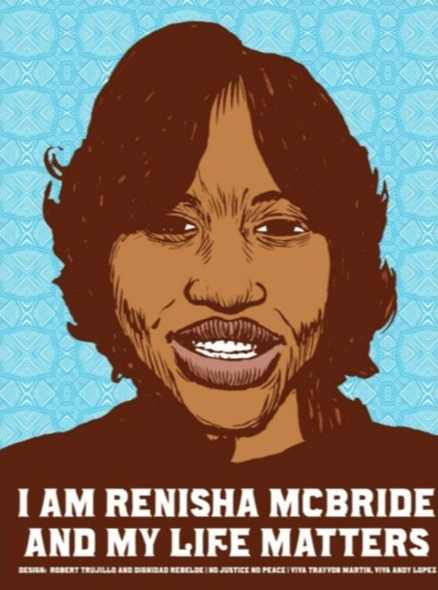 While her loved ones can take some small comfort in the fact that Renisha McBride received justice in this case, the verdict will certainly not bring her, or others who have died at the hands of racial prejudice and gun violence, back.